To increase knowledge and decrease purchase/consumption of high sodium products. 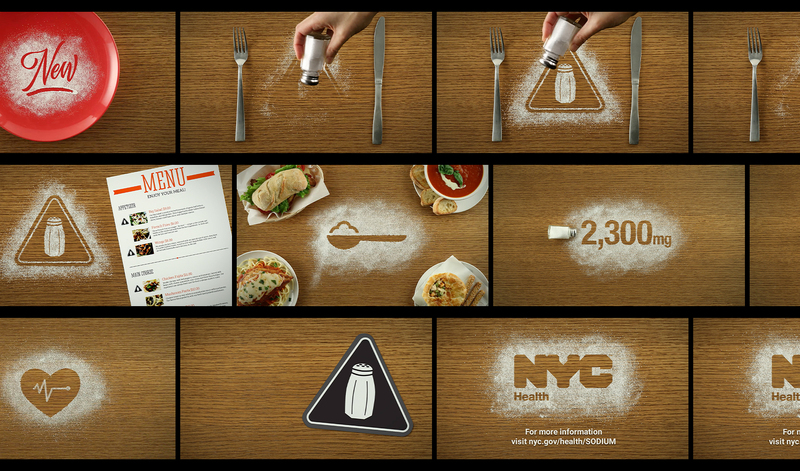 Create an awareness campaign that introduces the new sodium warning label and places it in chain restaurant environments, highlighting where the consumers will see and interact with the icon. 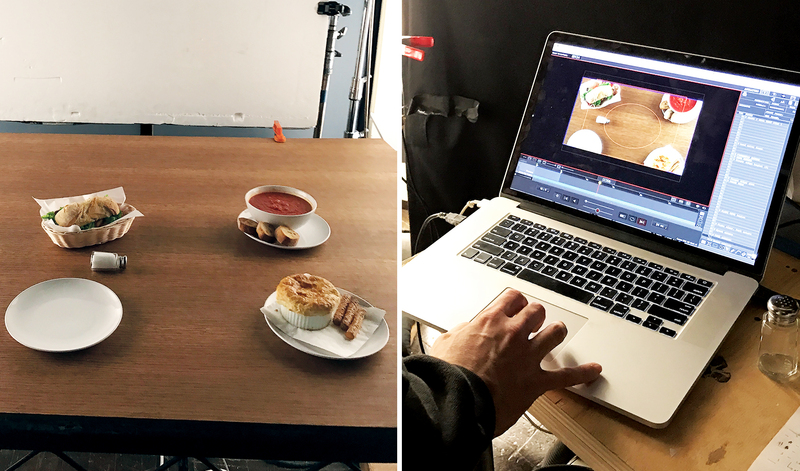 Utilizing stop-motion animation for our TV spot and social media assets, we were able to use real salt to tell our story, create reinforcing imagery, and strengthen the impact of the icon design. View the English and the Spanish TV spots. 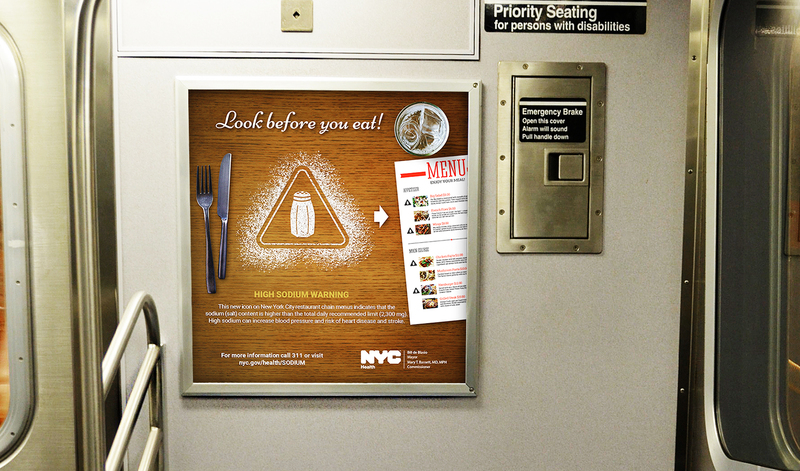 A post-campaign study was conducted for New York City Department of Health. When asked, 59% stated they had seen or heard advertising about sodium warnings on restaurant menus. 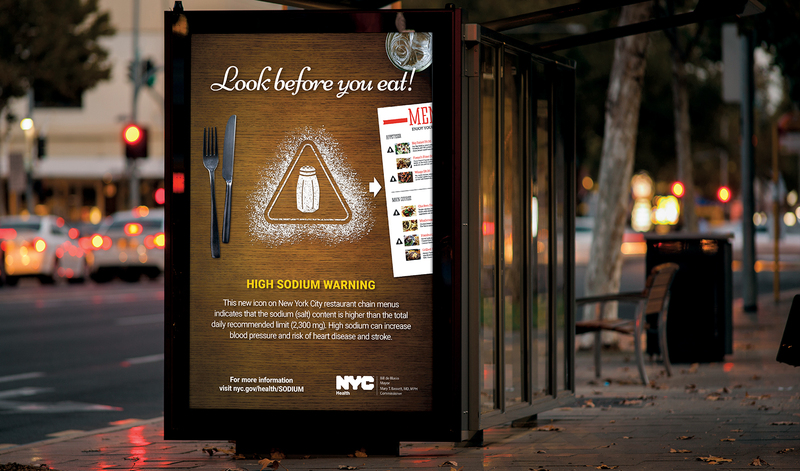 As a result of seeing this advertising campaign, 28% said they are more likely to use the sodium warning information to make menu selections when eating out.